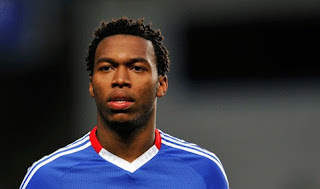 Newcastle United will look to make a move for Chelsea youngster Daniel Sturridge as the club’s board continue to look to plan for the future. Alan Pardew has been promised funds to help improve the St James’ Park squad and the Magpies will test the water with a move for the England Under 21 international. Having lost Kevin Nolan to West Ham the club source has stated that the club will not look to offer long term deals to players nearing, or already in, their 30s and this was one of the reasons they opted to allow their club captain to move to Upton Park. Chairman Derek Llambias and owner Mike Ashley have seemingly angered a large section of the club’s support having thus far not invested much of the £35m banked from the sale of striker Andy Carroll to Liverpool and though the signings of Yohan Cabaye, Sylvain Marveaux and Demba Ba have shown intent, the fact that all three additions arrived on free transfers has surprised many of the Toon Army faithful.